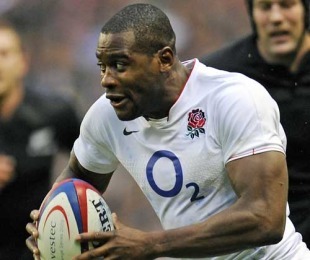 Ugo Monye has attempted to fire up his England team-mates ahead of their opening Six Nations game against Wales on February 6, insisting that the Twickenham showdown is a must-win game. The Harlequins wing was part of the squad that endured a difficult November campaign and believes that there is no margin for error against a Wales side similarly low on confidence following a hiding by the Wallabies in their last outing. "It's a massive game," he said. "It's the Six Nations opener and that tournament is really built on momentum so that first game will be so crucial. There's no better way of making Twickenham a fortress once again than beating the old enemy. "I know a lot of their squad management being on the Lions tour and know the players will be massively up for that game but I can assure them that so will we, so it will be a tough game but I'm hoping and expecting an England win. The last couple of times they have been to Twickenham they have had some good results so it would be nice to turn them over." Monye believes that a strong Six Nations will breed belief in the squad as they begin their preparations for the 2011 Rugby World Cup in New Zealand. "Johnno (Johnson) has been with us a while now and the Six Nations is a great chance to test both players and coaches and I feel as if we have a great opportunity where we can win something," he said. "Everyone expects. The coaches, players and fans expect so it will be a great litmus test for us. We have a tour to Australia coming up and the World Cup is getting closer and closer and by the time we get there we have to make sure we're spot-on." After an unsuccessful stint at fullback during November, Monye is hoping to return to his natural position on the wing during the Six Nations. "I don't feel I have let England down on the wing. The autumn was a tough experience that didn't work out but it would be nice to get back on the wing and show them the type of player that I am," he said. "It's my natural position; I have played all my rugby there. I have played at the highest level with the Lions there and was successful there. It's a place where I'm comfortable, where I score all my tries."